A guided HORSEBACK TOUR is a great way not only to explore out-of-the-way terrain, but also to become familiar with the lay of the land and O‘ahu’s culture. HAPPY TRAILS, located on a mountain overlooking scenic Waimea Bay, will take you through rainforest terrain on a trail that opens to panoramic ocean views. Afterward, make sure to stop at a tropical fruit orchard to get a fresh taste of island produce. Bring the kids— Happy Trails welcomes them as young as 6 years old. KUALOA, near Kane‘ohe, also offers trail rides on its historic 4,000-acre working cattle ranch. mount thoroughbred polo horses and ride through a 100-acre ranch and polo field. Full moon, sunset and other personalized rides are available. Some stables provide transportation from Waikiki. Ask about age and weight limits. On O‘ahu’s North Shore, TURTLE BAY RESORT offers 12 miles of coastal trails and seaside pathways for exploring. Hop on one of the stable horses, and trot on daytime trail, evening or sunset group rides. 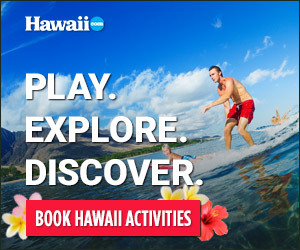 Private/ advanced rides and keiki (kid’s) pony activities are also available.